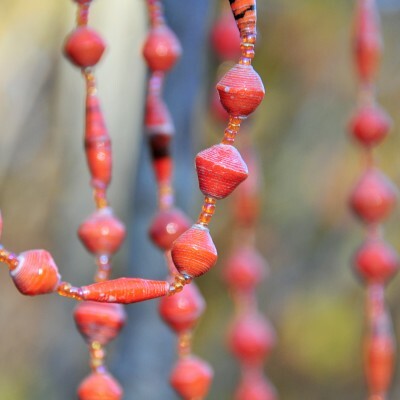 Make a statement with this ~50 inch Ugandan necklace in dazzling tangerine toned paper beads! Enclosure is either an “s” hook or a lobster claw clasp. Find a complimentary piece in our tangerine bracelet as well!